The VX 820 DUET is a dual-user, feature-rich countertop card payment machine with functionality that meets both merchant and consumer needs. The VX 820 DUET has a large colour and touch screen, extra fast processor, PCI PTS 3.0 and integrated NFC/contactless capability. 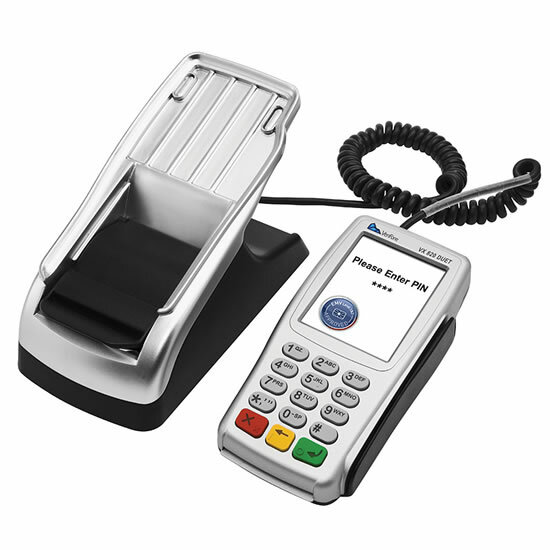 Via the VX 820 DUET's unique handover design a customer can enter PIN details and be on their way quickly and easily.